I started with white card stock and I added some Shimmerz paints to my background. I used a pretty yellow/orange called Vibez Sunset Strip because I thought it matched the pretty leaves on the trees in the photo! As an accent color I wanted pops of aqua, that's where the flair came in! This "be present" flair is a piece that had Shelley make for me a few years ago. My word for the year was "present" and so I had her make up some "be present" flair to use on projects. I found this in my stash and I thought it fit the sentiment of the layout --- stop and notice the beauty of fall -- and it also added the perfect pop of color! This camera flair is from the Take a Picture 1 flair set. Once again I used to to add a pop of color and I placed it in white space, right on the photo. I like how it draws your eye to photo as if to say, "CHECK OUT THIS PHOTO!" I also made a video of my process, if that's something that suits your fancy! Hello there! It's Devra here today and I have a layout to share today inspired by the OOTD blog article at Get It Scrapped! I thought I'd share my inspiration outfit. It's one of my very favorites from my own wardrobe. It's easy, comfortable and I always feel good when I wear it. 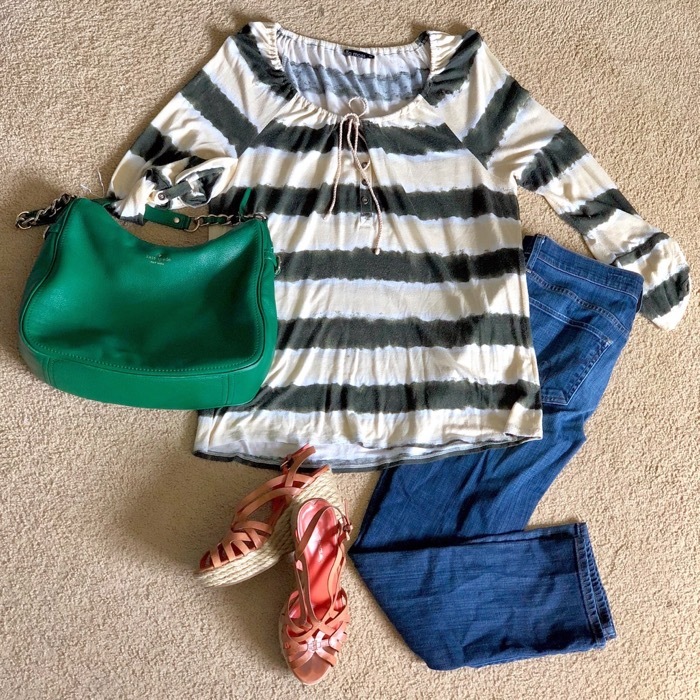 I chose to take most of my inspiration from the neutral and organic aspects of my OOTD. The colors, woodgrain patterned paper and stitching on it represent the texture of my shoes, the organic nature of leather and rope as well. The marble flair and lovely words 7 flair I added also have water color and natural feels to them. They also tie all the colors together! Just a little short and sweet project today! Thanks for stopping by! Moikka! It's Riikka here to share my second October project with you! When I made this page, the weather had just taken a turn towards autumn. It was still warm, but the rains started to set in and there was the scent of autumn in the air. I bet by now we are deep in the autumn already. How about you? Do you experience all the four seasons or just two of them? Thank you for your visit today! I'll be seeing you again next month! Maybe some winter projects then already? Or maybe it's still a bit early for that... Let's see what I come up with! Fun fact: These photos are actual stills that I grabbed from the video I took of her singing. I paired the flair with pieces of like-colored ephemera from Vicki Boutin's latest collection. I love all the hearts! This was a super fun layout to make. I made a process video if that suits your fancy! Thank you so much for stopping by! XO o.g. Hi everyone, Laurel here with another fall themed card. I think fall/winter are my favorite seasons to create projects for. What about you? For my card I have used the Burlap 2 Flair. 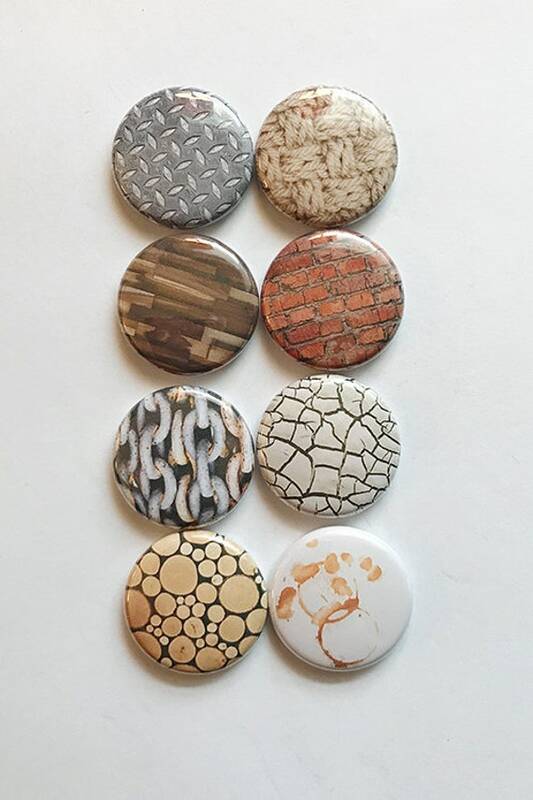 Some great images on these buttons and I love the texture of the burlap. I combined it with some fall papers, punched leaves and twine. I scattered a few sequins and cork embellishments to add some interest. Hey everyone, Michelle here today sharing a new LO using the let your heart decide collection from Pinkfresh Studio and a cut file from Paige Evans. My girl has never been afraid to be herself. She never changes herself to fit it with others. That makes me so proud of her! 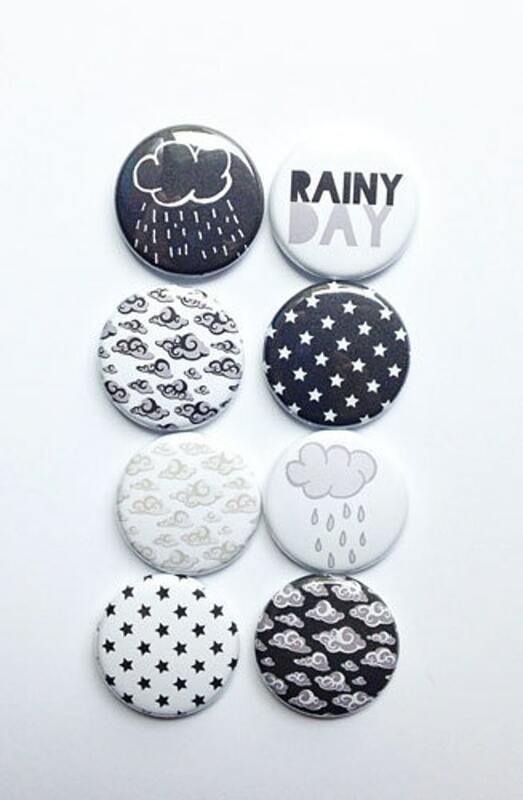 I very often use black flair buttons because I love how they stand out! Hello friends! 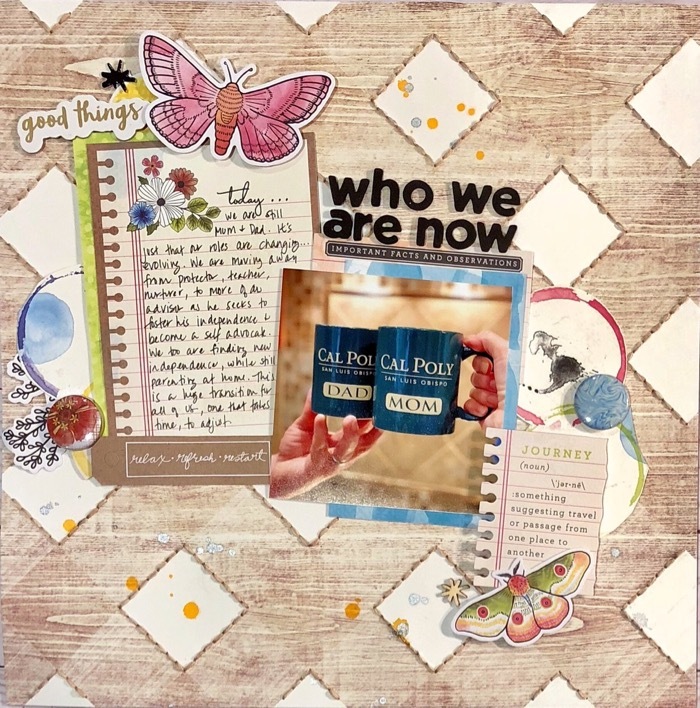 It's Lee-Anne here sharing another project with you. I am crazy about mini albums these days and wanted to make a little mini album of my dog Syd. 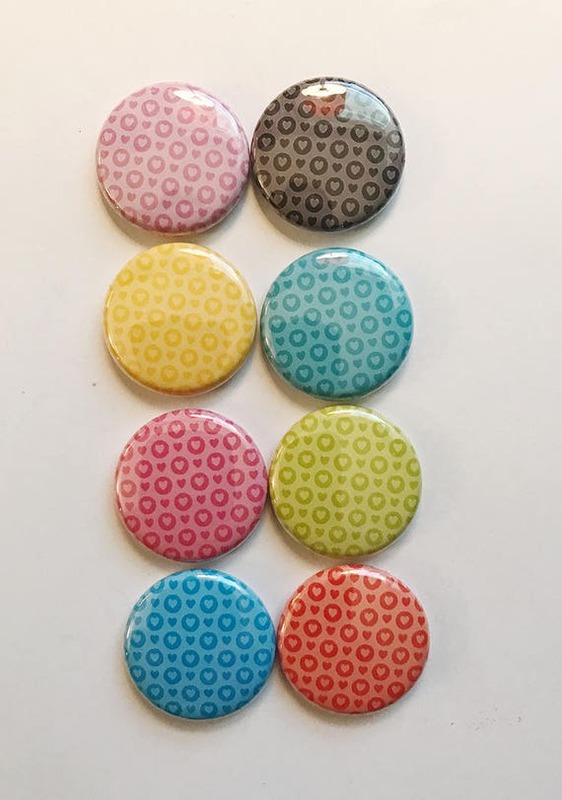 After I finished creating the pages of the mini album and added my patterned paper, I wanted to embellish the album with some fabulous flair buttons from A Flair For Buttons. For the binding of my mini album, I decided to add some binder rings. This allows me to embellish my album with some lumps and bumps. 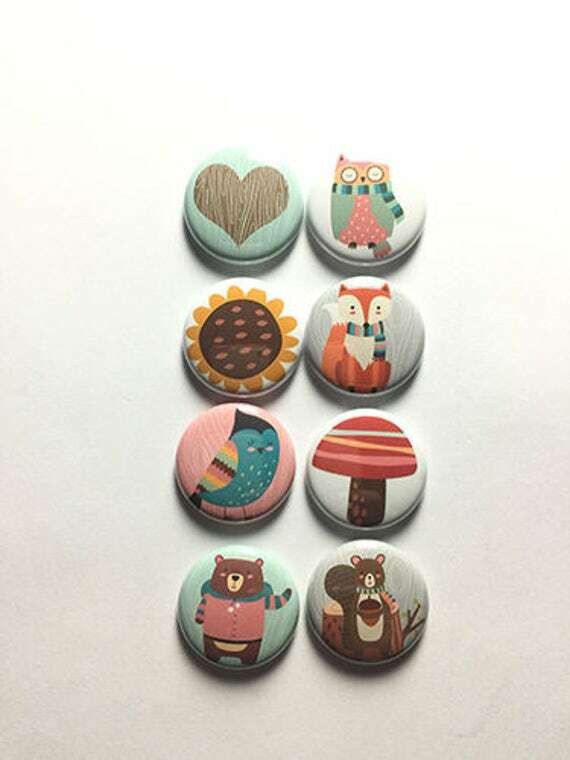 Flair buttons have quite a lot of depth to them so it was a perfect opportunity to go crazy with the fabulous flair buttons from A Flair For Buttons. The front cover has an adorable owl from the Woodland Creatures Flair. On page 2 I added a flair button from the Good Dog Flair Set. Moving along to Page 4, on the left page, I added the squirrel flair button that is from the Woodland Creatures Flair Set. On the right side, I added a flair button from the Linen Heart Flair. On the next two pages, they don't have any flair on them, but I wanted to show you all the pages of the mini album. 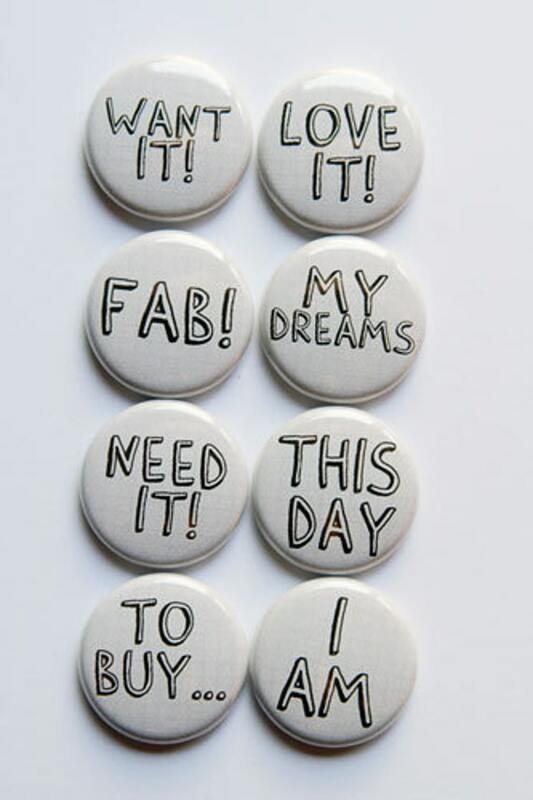 and on the right page I added a flair button from the Phrases 2 Flair Set. And finally turning over this page is the back cover. I loved created this little mini of my silly Golden Retriever. All the patterned papers for this mini album are from the Norwegian Wood Collection, a digital paper pack with elements created by the amazingly talented Cat Martin. I resized the papers and elements in my Silhouette Designer Edition software and printed them out on my home printer. I LOVE this collection and the beautiful vibrant autumn colors. 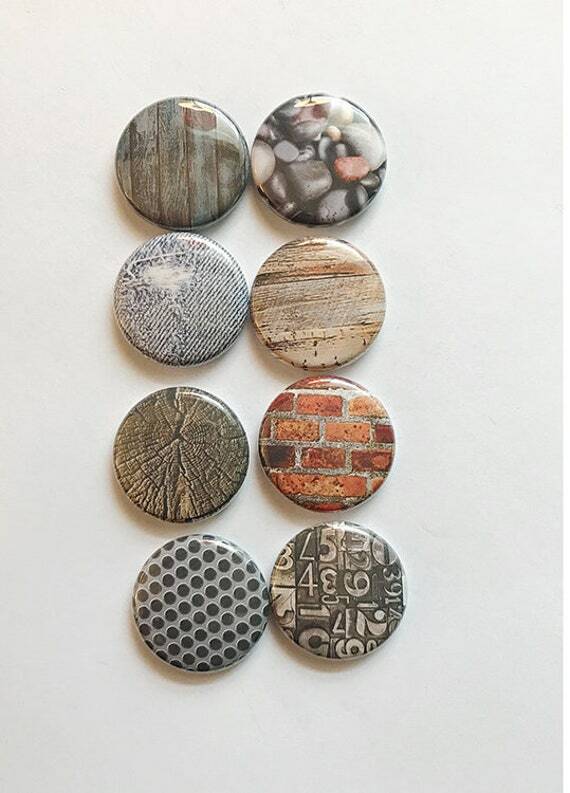 Thanks for stopping by and I hope I have inspired you to add a variety of flair buttons to your projects. 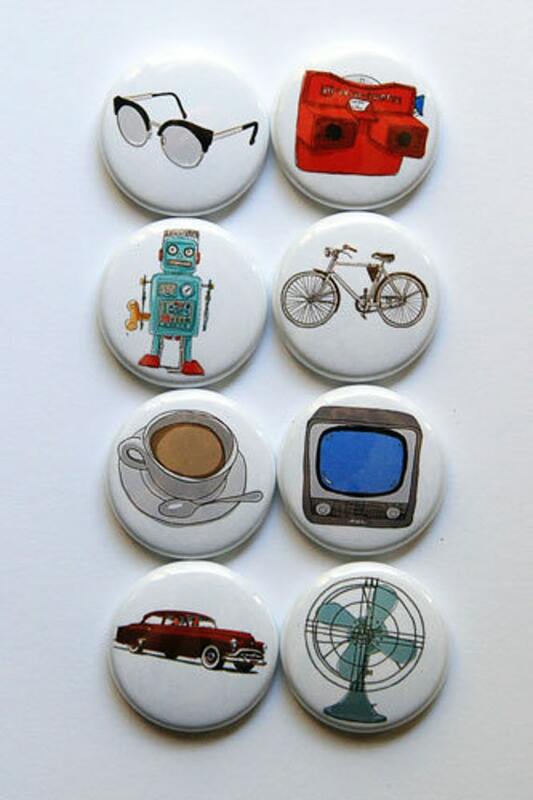 Check out the A Flair For Buttons shop for these flair buttons and hundreds more. Happy creating! Hi there! How are you doing? It's Riikka here today to share a layout with a process video with you! The layout is about how I love to attend art museums with my two daughters. The colors of the page as well as the flag button hint where we were when I took this photo. In the United Kingdom, London, visiting Tate Modern. My daughters are not strangers to museums. We've been visiting different art exhibitions and museums all of their childhood. When they were younger, the visits were naturally quite short and we thought a little what they'd be interested to see, but now I enjoy exploring art with them. I love to hear what they see in expressionist pieces, for example. As the topic of the page is partly Tate Modern, I wanted to make somewhat minimal page with clear elements. That's why I started by painting a red circle to my layout. I recorded a video while working on the page so you can see how I made it! I hope you enjoy! As you can see from the video, I had again selected some flair buttons to start with and then edited my choices when making the page. 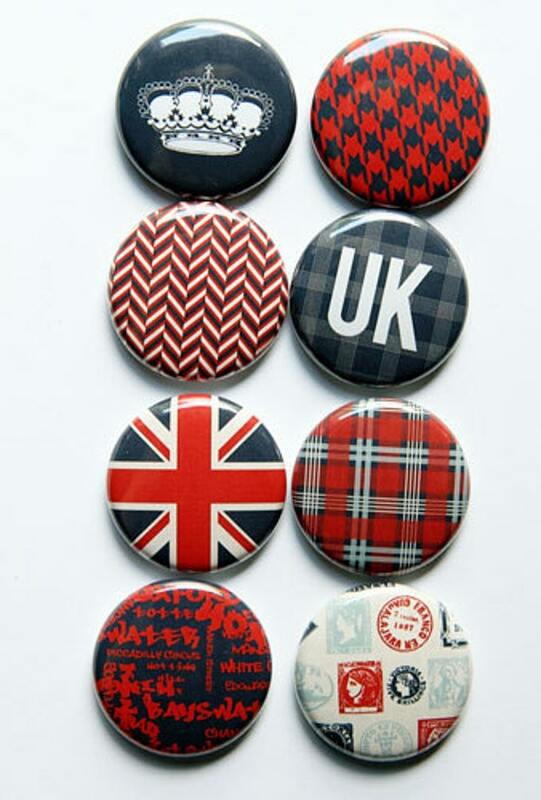 The Union Jack is from UK set and just needed to be in there. I also thought that the View-Master fitted not only the color palette but also the theme of looking art and seeing it differently. The machine is from the So Retro 3 set. The grungy textures of jeans, knit and wooden boards are from the two textures sets, Texture 1 and Texture 2. Last but not least the black background star flair, which is from Rainy set, balances the black bits of the title and brings a lovely modern twist. Thank you for stopping by today! Wishing you a lovely start to October!